I think this photo tells an important story. Riding a horse is a child-active therapy that has therapeutic benefits with documented improvements in postural control and balance. http://onlinelibrary.wiley.com/doi/10.1111/j.1469-8749.2011.03951.x/full In my mind, one of the strongest reasons for doing a therapeutic riding program is the social and personal effects on the child. Unfortunately, these changes are difficult to measure in a research study, but every parent who has watched their child grow in confidence and independence while taking part in a fun, challenging environment knows that this is a good investment of time and money. Mary Longden, an International Level 3 coach who lives and works in both Canada and Australia, recently contacted me about my book. She had read The Boy Who Could Run But Not Walk and kindly offered to write a review on her Facebook page. A copy of the review is on my media page. As the weather warms up for most of us, it is time to start thinking about what your children are going to be doing over the summer vacation from school. 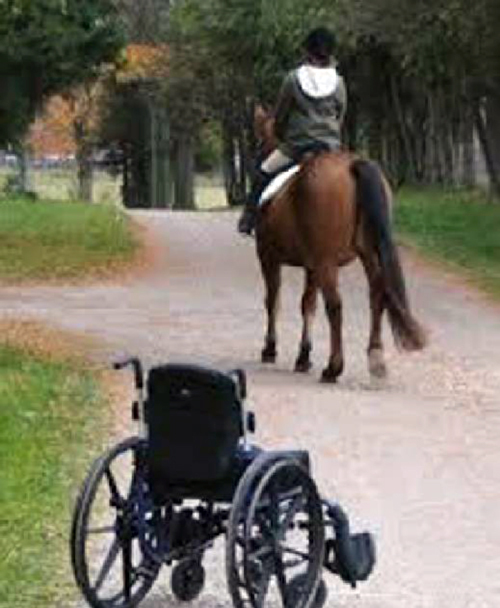 Therapeutic Riding is one activity with proven benefits that should be considered. Ask your therapists if your child would be an appropriate candidate to try it this summer. A quick Google search will show you that there are many programs available.